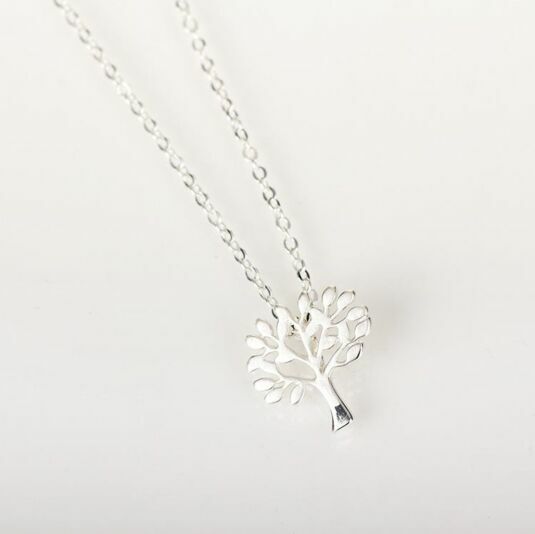 This delicate yet vibrant necklace showcases a shimmering, nature inspired charm of the Tree Of Life, beautifully plated in silver. 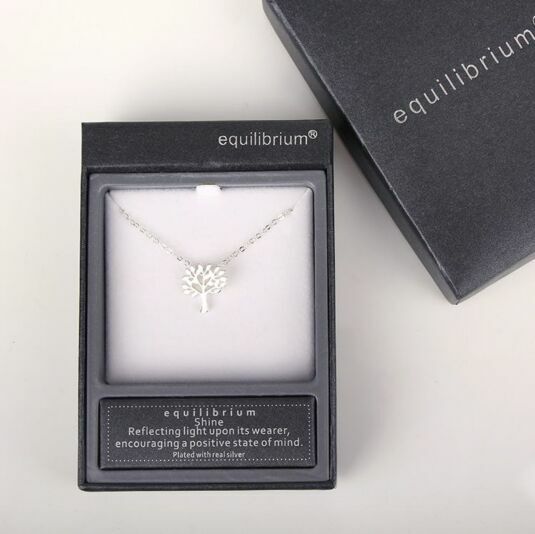 Further to this statement, a minimalistic silver link chain is used to hang the piece, whilst the touch of shimmering silver adds to the elegance of the overall piece. Fastened with a hook and clip mechanism, fitting it easy, and a pendant hanging to the rear of the piece showcasing the brands name adds a small touch to a stated piece.